Chanda Mama Door Ke becomes the first Bollywood film to be at NASA! Chanda Mama Door Ke is India’s first epic space odyssey with a massive cast of Sushant Singh Rajput, R Madhavan, Nawazuddin Siddiqui among others. Produced by Eros International and Viki Rajani, this epic film is directed by National award-winner Sanjay Puran Singh (of Lahore fame). As we told you earlier, Sushant Singh Rajput, trained at NASA’s Space & Rocket Centre at Alabama, in U.S.A for his role in Chanda Mama Door Ke. 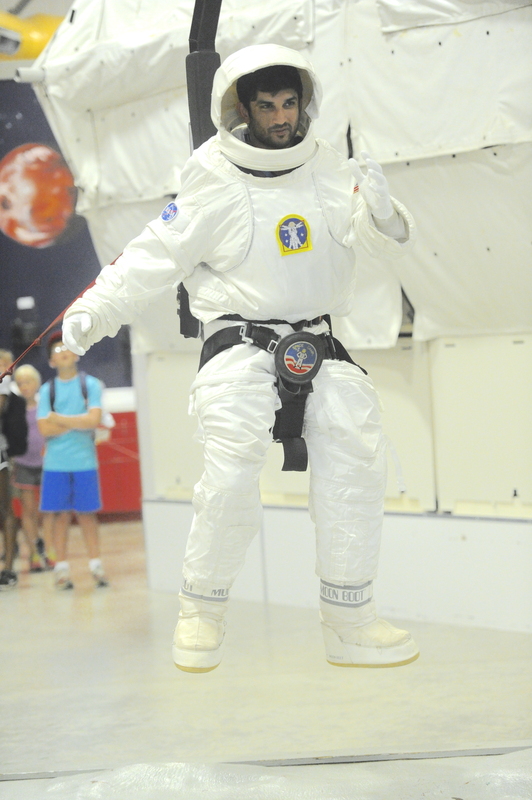 The actor, who is known to get under the skin of all his characters, went the extra mile while for the role of an astronaut in the film, by participating in workshops and various training regimes aimed at acquaniting him with the life of an astronaut, in as realistic a manner as possible. Says producer Viki Rajani, “We are very honored and privileged to be pioneering the first of its kind film in Bollywood and that Sushant Singh Rajput is the very Indian actor to train at NASA. The director Sanjay Puran Singh Chauhan has worked on the script and the technical detailing for the last 7-8 years. All this together will go a long way in putting together a truly authentic space odyssey”.